Recent Arrival! 21/31 City/Highway MPGReviews:* If you're in search of a big, roomy sedan that won't break the bank, the newly refined Impala will thoroughly meet your needs and probably exceed your expectations. Also, the SS model makes a good quasi-muscle car for those who require the all-weather advantages of front-wheel drive. Source: KBB.comFaster. Simpler. More Transparent. Superior Automotive Group has helped thousands of customers find the right car by leveraging one of Arkansas' largest selections of new and pre-owned vehicles at unparalleled prices. Yet, it's our extra-mile customer service and uncommonly candid and respectful staff that have won the trust and loyalty of Arkansas drivers for 30 years. Come visit one of our Superior dealerships today and let us exceed your expectations. Clean CARFAX. Odometer is 9531 miles below market average!Faster. Simpler. More Transparent. Superior Automotive Group has helped thousands of customers find the right car by leveraging one of Arkansas' largest selections of new and pre-owned vehicles at unparalleled prices. Yet, it's our extra-mile customer service and uncommonly candid and respectful staff that have won the trust and loyalty of Arkansas drivers for 30 years. Come visit one of our Superior dealerships today and let us exceed your expectations. More Photos Coming Soon, Recent Arrival! CR-V EX, Cloth Seat Trim, Power Options, Power Moonroof, Remote Keyless Entry. Clean CARFAX. Odometer is 12851 miles below market average! 23/30 City/Highway MPGAwards:* 2007 KBB.com Best Resale Value AwardsFor more information, visit www.kbb.com. Kelley Blue Book is a registered trademark of Kelley Blue Book Co., Inc.Reviews:* Few vehicles do as many things as well as the CR-V. As practical as a backpack, this benchmark crossover is an easy, one-size-fits-most car choice. Source: KBB.comFaster. Simpler. More Transparent. Superior Automotive Group has helped thousands of customers find the right car by leveraging one of Arkansas' largest selections of new and pre-owned vehicles at unparalleled prices. Yet, it's our extra-mile customer service and uncommonly candid and respectful staff that have won the trust and loyalty of Arkansas drivers for 30 years. Come visit one of our Superior dealerships today and let us exceed your expectations. Recent Arrival! CARFAX One-Owner.Faster. Simpler. More Transparent. Superior Automotive Group has helped thousands of customers find the right car by leveraging one of Arkansas' largest selections of new and pre-owned vehicles at unparalleled prices. Yet, it's our extra-mile customer service and uncommonly candid and respectful staff that have won the trust and loyalty of Arkansas drivers for 30 years. Come visit one of our Superior dealerships today and let us exceed your expectations. Remote Engine Start, Bed Liner, 9 Speakers, Alloy wheels, AM/FM radio: SiriusXM, Automatic temperature control, Delay-off headlights, Front Bucket Seats, Front dual zone A/C, Front fog lights, Fully automatic headlights, Power driver seat, Premium Cloth/Leatherette Seat Trim, Remote keyless entry, Security system, SIRIUSXM Satellite Radio, Speed control, USB Port. CARFAX One-Owner. Clean CARFAX. 25/37 City/Highway MPGAwards:* JD Power Dependability Study * 2013 IIHS Top Safety PickReviews:* If you are looking for an American-built mid-size sedan with good fuel economy, excellent handling and an exceptionally quiet cabin, the 2013 Chevrolet Malibu Eco will fit the bill. Source: KBB.com* Upscale interior; advanced high-tech features; composed and comfortable ride; Eco model's high fuel economy. Source: EdmundsFaster. Simpler. More Transparent. Superior Automotive Group has helped thousands of customers find the right car by leveraging one of Arkansas' largest selections of new and pre-owned vehicles at unparalleled prices. Yet, it's our extra-mile customer service and uncommonly candid and respectful staff that have won the trust and loyalty of Arkansas drivers for 30 years. Come visit one of our Superior dealerships today and let us exceed your expectations. Clean CARFAX.Faster. Simpler. More Transparent. Superior Automotive Group has helped thousands of customers find the right car by leveraging one of Arkansas' largest selections of new and pre-owned vehicles at unparalleled prices. Yet, it's our extra-mile customer service and uncommonly candid and respectful staff that have won the trust and loyalty of Arkansas drivers for 30 years. Come visit one of our Superior dealerships today and let us exceed your expectations. More Photos Coming Soon, Recent Arrival! Equinox LT, Back-up Camera, Premium Cloth Seat Trim, Power Options, Remote Keyless Entry. CARFAX One-Owner. 22/32 City/Highway MPGAwards:* 2012 IIHS Top Safety PickReviews:* If you like the idea of driving a small SUV, but you want carlike ride and handling, excellent gas mileage, cutting-edge navigation, audio and cell-phone connectivity and you demand it all in a vehicle with a strong sense of style, the 2012 Chevrolet Equinox will likely meet all your criteria and then some. Source: KBB.com* Premium look inside and out; quiet cabin with lots of storage bins; spacious and adjustable backseat; comfortable ride. Source: EdmundsFaster. Simpler. More Transparent. Superior Automotive Group has helped thousands of customers find the right car by leveraging one of Arkansas' largest selections of new and pre-owned vehicles at unparalleled prices. Yet, it's our extra-mile customer service and uncommonly candid and respectful staff that have won the trust and loyalty of Arkansas drivers for 30 years. Come visit one of our Superior dealerships today and let us exceed your expectations. Recent Arrival! Clean CARFAX.Awards:* 2016 KBB.com Brand Image AwardsReviews:* Sporty handling; well-appointed interior with advanced technology options; peppy and fuel-efficient EcoBoost engine; ST model's zesty performance. Source: EdmundsFaster. Simpler. More Transparent. Superior Automotive Group has helped thousands of customers find the right car by leveraging one of Arkansas' largest selections of new and pre-owned vehicles at unparalleled prices. Yet, it's our extra-mile customer service and uncommonly candid and respectful staff that have won the trust and loyalty of Arkansas drivers for 30 years. Come visit one of our Superior dealerships today and let us exceed your expectations. Clean CARFAX. 22/32 City/Highway MPGAwards:* JD Power Dependability Study * 2012 IIHS Top Safety PickReviews:* If you're thinking you'd like a reasonably sized crossover SUV that gets great gas mileage, has room for five but also has a bit of an attitude, the 2012 GMC Terrain compact SUV deserves a spot on your shopping list. Source: KBB.com* Quiet and attractive cabin; sophisticated ride; strong crash test scores; roomy backseat; plenty of standard and optional features; good fuel economy. Source: EdmundsFaster. Simpler. More Transparent. Superior Automotive Group has helped thousands of customers find the right car by leveraging one of Arkansas' largest selections of new and pre-owned vehicles at unparalleled prices. Yet, it's our extra-mile customer service and uncommonly candid and respectful staff that have won the trust and loyalty of Arkansas drivers for 30 years. Come visit one of our Superior dealerships today and let us exceed your expectations. S, 6-Speed Automatic, Cloth Seats, Power Options, Remote Keyless Entry. CARFAX One-Owner. Clean CARFAX. Odometer is 1674 miles below market average! 22/31 City/Highway MPGAwards:* Ward's 10 Best Engines * 2013 KBB.com Brand Image AwardsReviews:* Standout styling, class-leading fuel economy and a robust technology package are three reasons to include the new Escape on your small-SUV shopping list. Source: KBB.com* Good performance and fuel efficiency; many high-tech features; agile handling; high-quality cabin; comfortable seating. Source: EdmundsFaster. Simpler. More Transparent. Superior Automotive Group has helped thousands of customers find the right car by leveraging one of Arkansas' largest selections of new and pre-owned vehicles at unparalleled prices. Yet, it's our extra-mile customer service and uncommonly candid and respectful staff that have won the trust and loyalty of Arkansas drivers for 30 years. Come visit one of our Superior dealerships today and let us exceed your expectations. EX, ABS Brakes, Cloth Seat Trim, Electronic Stability Control, Exterior Parking Camera Rear, Illuminated Entry, Low Tire Pressure Warning, Power Moonroof, Remote Keyless Entry, Traction Control. CARFAX One-Owner. Clean CARFAX. 32/38 City/Highway MPGAwards:* 2015 KBB.com Best Resale Value Awards * 2015 KBB.com 10 Most Affordable Cars * 2015 KBB.com 10 Tech-Savviest Cars Under $20,000 * 2015 KBB.com Our 10 Favorite New-for-2015 Cars * 2015 KBB.com Brand Image Awards2016 Kelley Blue Book Brand Image Awards are based on the Brand Watch(tm) study from Kelley Blue Book Market Intelligence. Award calculated among non-luxury shoppers. For more information, visit www.kbb.com. Kelley Blue Book is a registered trademark of Kelley Blue Book Co., Inc.Faster. Simpler. More Transparent. Superior Automotive Group has helped thousands of customers find the right car by leveraging one of Arkansas' largest selections of new and pre-owned vehicles at unparalleled prices. Yet, it's our extra-mile customer service and uncommonly candid and respectful staff that have won the trust and loyalty of Arkansas drivers for 30 years. Come visit one of our Superior dealerships today and let us exceed your expectations. SE AWD, Power Options, Cloth Seats, Remote Keyless Entry. CARFAX One-Owner. Clean CARFAX. Odometer is 28078 miles below market average! 22/30 City/Highway MPGAwards:* Ward's 10 Best Engines * 2013 KBB.com Brand Image AwardsReviews:* Standout styling, class-leading fuel economy and a robust technology package are three reasons to include the new Escape on your small-SUV shopping list. Source: KBB.com* Good performance and fuel efficiency; many high-tech features; agile handling; high-quality cabin; comfortable seating. Source: EdmundsFaster. Simpler. More Transparent. Superior Automotive Group has helped thousands of customers find the right car by leveraging one of Arkansas' largest selections of new and pre-owned vehicles at unparalleled prices. Yet, it's our extra-mile customer service and uncommonly candid and respectful staff that have won the trust and loyalty of Arkansas drivers for 30 years. Come visit one of our Superior dealerships today and let us exceed your expectations. Recent Arrival!Awards:* 2008 KBB.com Brand Image AwardsReviews:* If you haul a lot of stuff and/or people, the Tundra is up for the job. Depending upon configuration, the payload can exceed one ton and towing capacity can reach 10,600 pounds. Pulling that load can be the available 5.7-liter V8 with 401 pound-feet of torque. Source: KBB.comFaster. Simpler. More Transparent. Superior Automotive Group has helped thousands of customers find the right car by leveraging one of Arkansas' largest selections of new and pre-owned vehicles at unparalleled prices. Yet, it's our extra-mile customer service and uncommonly candid and respectful staff that have won the trust and loyalty of Arkansas drivers for 30 years. Come visit one of our Superior dealerships today and let us exceed your expectations. Recent Arrival! Clean CARFAX. Odometer is 43391 miles below market average! 22/32 City/Highway MPGAwards:* 2014 IIHS Top Safety Pick+ with optional front crash prevention * 2014 IIHS Top Safety Pick+ * 2014 KBB.com Brand Image AwardsReviews:* If want a comfortable family/gear hauler that's larger than other compact crossover SUVs but small enough to be at ease in parking lots, the Equinox is worth a look. For those who need to pull moderate loads, the 3,500-pound towing capacity in V6 models is shoulders above most competitors. Source: KBB.com* Premium look inside and out; strong optional V6 engine; quiet interior; comfortable highway ride; spacious and adjustable backseat. Source: Edmunds* The 2014 Equinox is Chevrolet's torchbearer in the sizzling compact crossover segment. The Equinox stretches the boundaries of the term compact as it is noticeably larger than its rivals. That size difference affords more room for passengers in the second row seat and a larger presence on the road. The 2014 Chevy Equinox has a comfortable and quiet ride and drives like a more expensive car. It has an edge in passenger comfort, especially in the rear, where the bench seat can move several inches fore and aft to create more legroom. Up front, driver and passenger benefit from generous-sized seats. The 2014 Equinox has a good blend of soft curves at its edges to balance the vehicle's rectangular shape. A long hood further helps even out the Chevy's proportions. It all works to give the Equinox an athletic appearance. Other standout aesthetics include the signature 2-bar grille, floating fog light bezels and creased fender flares. The 2014 Chevrolet Equinox comes standard with a fuel-efficient 4-cylinder engine that makes an adequate 182 horsepower. You may also choose the impressive V6 that puts out 301 horsepower. Both engines are connected to a 6-speed automatic transmission. Front-wheel drive (FWD) is standard with all-wheel-drive as an option for both engines. The 4-cylinder model can tow a maximum of 1,500 pounds while the V6 can pull 3,500 pounds. If you want a small-but-not-too-small SUV with plenty of passenger space, a comfortable ride and good fuel economy, consider the 2014 Chevy Equinox. Source: The Manufacturer SummaryFaster. Simpler. More Transparent. Superior Automotive Group has helped thousands of customers find the right car by leveraging one of Arkansas' largest selections of new and pre-owned vehicles at unparalleled prices. Yet, it's our extra-mile customer service and uncommonly candid and respectful staff that have won the trust and loyalty of Arkansas drivers for 30 years. Come visit one of our Superior dealerships today and let us exceed your expectations. Clean CARFAX.Reviews:* Smooth, quiet ride; comfortable seats; powerful V8 options. Source: Edmunds* If your towing needs run in the 7,000-10,000 pound range, a compact pickup isn't going to cut it; the full-size 2013 GMC Sierra, on the other hand, will. Models range from a basic Work Truck to the frugal 23-mpg Sierra Hybrid to the luxurious Denali. Source: KBB.comFaster. Simpler. More Transparent. Superior Automotive Group has helped thousands of customers find the right car by leveraging one of Arkansas' largest selections of new and pre-owned vehicles at unparalleled prices. Yet, it's our extra-mile customer service and uncommonly candid and respectful staff that have won the trust and loyalty of Arkansas drivers for 30 years. Come visit one of our Superior dealerships today and let us exceed your expectations. Titanium, Exterior Parking Camera Rear, Front Dual Zone A/C, Heated Leather-Trimmed Sport Front Bucket Seats, Navigation System, Power Moonroof, Remote Keyless Entry. Certified. CARFAX One-Owner. Clean CARFAX. 24/34 City/Highway MPGFord Certified Pre-Owned Details:* Transferable Warranty* Includes Rental Car and Trip Interruption Reimbursement* Vehicle History* Warranty Deductible: $100* 172 Point Inspection* Powertrain Limited Warranty: 84 Month/100,000 Mile (whichever comes first) from original in-service date* Roadside Assistance* Limited Warranty: 12 Month/12,000 Mile (whichever comes first) after new car warranty expires or from certified purchase dateFaster. Simpler. More Transparent. Superior Automotive Group has helped thousands of customers find the right car by leveraging one of Arkansas' largest selections of new and pre-owned vehicles at unparalleled prices. Yet, it's our extra-mile customer service and uncommonly candid and respectful staff that have won the trust and loyalty of Arkansas drivers for 30 years. 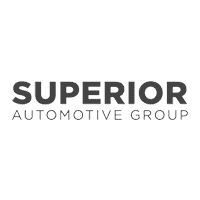 Come visit one of our Superior dealerships today and let us exceed your expectations.